Status: Used a lot by Phillip then sold to fund the FE 4/16-35. Owned by Jannik for a short time, but replaced by the Loxia 2.8/21. At f/2.8 the center of the image is sharp but quite strong vignetting, busy bokeh, strong coma and soft corners limit the usefulness of this aperture. From f/5.6 it is good across the frame, very good at f/8 and for the very good corner performance you should stop down to f/11. Some mustache distortion and average flare resistance, the filter thread rotates which is annoying for polarizer use. Medium size and weight. Good price/performance ratio. I can recommend this lens to anyone who needs an affordable solution for landscape photography but make sure to stop it down. Status: Phillip owned it for a short time back in the Nex-days, some reliable information available. 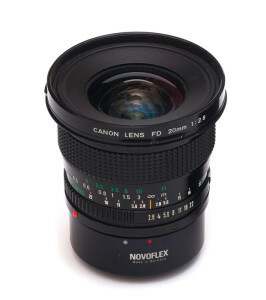 Quite expensive, especially because this lens suffers from dissolving bearings which cause significant play in the focusing ring so be very careful if you want to buy one. Remarkably light if you consider that the one stop slower nFd 2.8/24 is just 45g less. It is a good lens but the only significant difference to the f/2.8 version is that it is a stop faster and it isn’t very good at f/2 so the much cheaper 2.8/24 is the smarter buy if you ask me. Status: Reviewed by Phillip who still uses it occasionally. Noticeable vignetting, busy bokeh, some coma and soft corners at f/2.8. The center is sharp. Very good performance across the frame at f/8 and f/11. Moustache distortion and mediocre flare resistance. Quite small and light, excellent price/performance ration. A very good solution for budget oriented landscape shooters, it is small, cheap and sharp. Status: Owned by Phillip for a few weeks. If you accept some funky bokeh f/2.8 is usable with good central sharpness and acceptable vignetting. At f/8 it is very sharp across the frame but the extreme corners are soft. Decent flare resistance, sadly only 5 aperture blades. Very low size and weight. Great price/performance ratio. If you consider the price this a very attractive lens, not only for landscape photography but also other genres because it is quite usable wide open. At f/2 the center is sharp, and there is some vignetting. Corners are soft. From f/8 it is very good across the frame. Some barrel distortion and decent flare resistance. Rather low size and weight. Good price/performance ratio. Best bokeh of all FD 35mm lenses, 8 aperture blades. Can have issues with the bearings. All in all the most balanced FD 35mm lens. Recommended. Status: Borrowed by Phillip for a few weeks, some reliable information available. At f/2 it is sharp in the center with little CA, bokeh is decent and vignetting quite noticeable. From f/5.6 good across the frame sharpness. I can’t judge the flare resistance. Solid build quality but also rather large and heavy for a 35mm lens. Good price/performance ratio. There is also an older, optically different version of this lens with the smallest aperture of f/16 (not f/22) and a concave front element which is radioactive. All in all an attractive lens with a wide range of applications an good performance in most aspects, a little on the heavy side. Status: Owned by Phillip for a few months. At f/2.8 most of the image is sharp, vignetting is visible, bokeh is decent and coma is not much of an problem so this aperture is fully usable. From f/5.6 it is very good across the frame, and improves a little at f/8. It has only 5 aperture blades which affects the bokeh. Less sharp at closer distances. Not only is it small and affordable, it is also quite sharp from f/2.8 with rather smooth bokeh so it is a lens with a wide range of applications. Status: Never owned ourselves, some reliable information available. At f/1.2 very similar performance to the much bigger FD 1.2/55 Aspherical that is moderate resolution in the center but quite good contrast. At f/5.6 it is of course excellent in the center but unlike it’s slower (an much cheaper) cousin the 1.4/50 it can’t hold this sharpness to the corners. It shows very obvious onion rings. Weight and size is a little above average for a 50mm lens but not by much. It is very expensive. The red L-ring is of course alluring and it’s contrast at f/1.2 was unrivaled back in the day but I wouldn’t be willing to pay $600 for this lens when a lens like the not much more expensive Sigma 1.4/50 plays in a totally different league. Status: Phillip has reviewed it and uses it occasionally. The nFD version is slightly better optically and noticably smaller and lighter than it’s FD precedessor which is more solid. At f/1.4 it is sharper than most other 50mm lenses but even in the center contrast is a bit muted, the resolution is fine though and the corers are lousy. Vignetting is very obvious, bokeh is on the busy side and coma very high. So you can use f/1.4 but most often it makes sense to stop down to f/2 where contrast, sharpness and bokeh are much better. From f/5.6 it is spectacular, only the corners improve a little at f/8. Low barrel distortion, strong vignetting at f/1.4 and average flare resistance. Low size and weight. Great price/performance ratio. 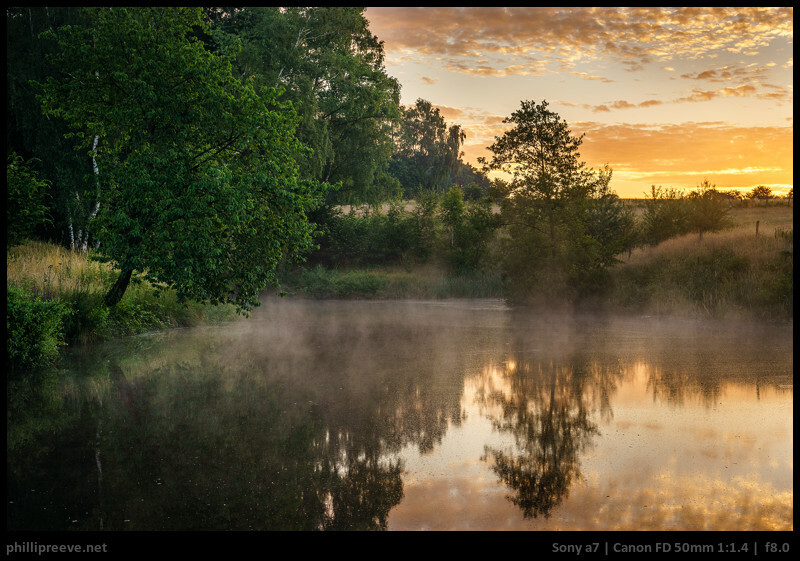 A versatile lens which changes it’s character completely as you stop down. It is somewhat soft wide open but excellent stopped down. It is small, fast and affordable so I can only recommend it. Status: Owned by Phillip for a few months, doesn’t see much use. At f/1.8 it has good resolution but quite low contrast, high vignetting and busy bokeh, from f/2.8 it is excellent in the center but the corners stay soft. From f/5.6 it is truly excellent across the frame. It has simpler coatings and is quite susceptible to flare. 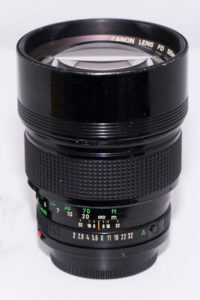 It als has only 5 aperture blades and the close focusing distance is 0.6m. Status: Never used ourselves, some reliable information available. Excellent performance in the center from f/3.5, corners are good enough. At f/8 it is very sharp across the frame but it doesn’t quite reach the excellent performance of the infinity optimized faster 50’s. It only reaches a 1:2 magnification and usually comes with a 25 mm spacer to reach 1:1. If you need a 50mm macro lens I wouldn’t hesitate to buy this sharp and affordable lens. Status: Borrowed from a friend for two weeks, ran one extensive comparison with it. Released as FL, later updated to FD, coatings were probably updated. At f/1.2 contrast is low and bokeh rather busy but sharpness is surprisingly high. At f/2 contrast is a lot higher and the bokeh smoother. At f/8 it is excellent across the frame. Big and heavy for a 50mm lens, handling is pleasant and build quality very high. Short focusing distance is high at 0.6m. I think this is an underrated lens, sure it isn’t small and the bokeh isn’t the smoothest but I was surprised by the sharpness and it is rather affordable compared to other f/1.2’s. Status: Never used ourselves, reliable information available. At f/1.2 contrast is a higher than that of the nFD 1.4/50 at f/1.2 which is a remarkable performance for such a fast lens sharpness is a bit lower though. Bokeh is quite pleasant without obvious onion rings. It features floating elements which – compared to other normal lenses – improves performance at shorter distances quite a lot. 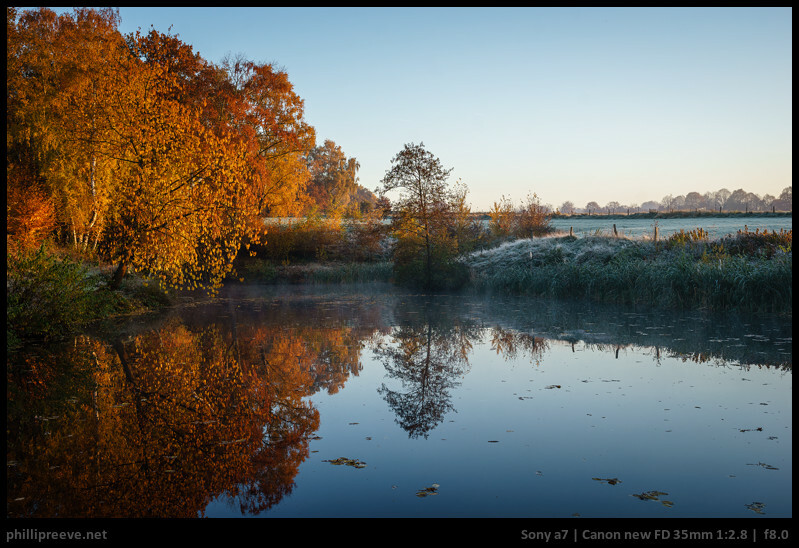 At f/5.6 there is quite a bit of astigmatism at the edges whereas the nFD 1.4/50 is free from it and therefore superior for landscape images. A hlarge, heavy and expensive lens. All in all it is a good performer for portraits and other stuff where contrast and good central sharpness as well as bokeh matter but not the best choice when off-center sharpness matters and modern lenses like the Mitakon 0.95/50 are probably a better choice. Status: Owned by Jannik for a few months then sold to Phillip who has owned it for a few months. 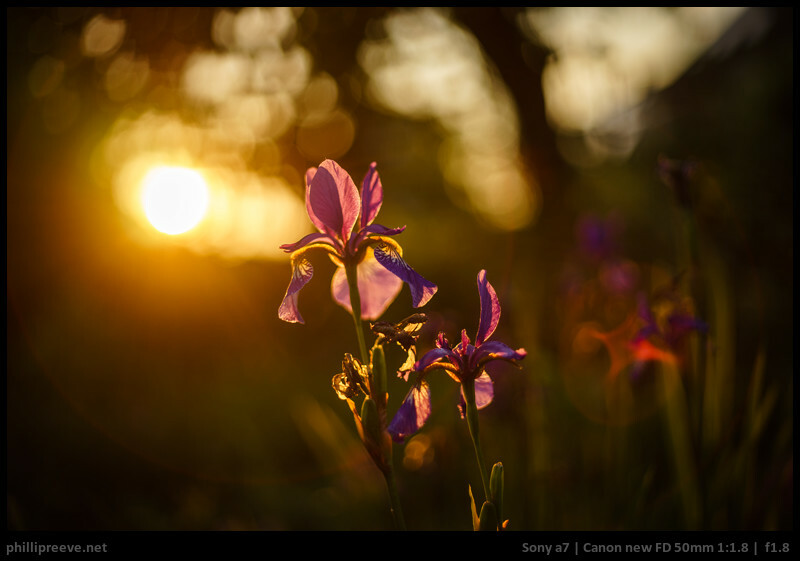 At f/1.2, the center has usable sharpness, the midfield and the edges are not sharp. Because of spherical aberrations contrast is quite low but still better than most 1.4/50 lenses wide open. We’d only recommend to use this setting for atmospheric portraits or low-light photography. The whole image sharpens up a lot at f/1.6, the center is very good as is the contrast from this aperture. The center sharpness peaks at f/2.8, the midfield shows good sharpness but the corners are softer. At f/4, the image is excellent, only the extreme corners are just good. To get the best corner performance, stop down to f/8. Low barrel distortion and bad flare resistance. Make sure to get a hood, it doesn’t need to be the expensive original one. There is a “L” and a “S.S.C. Aspherical” Version – optically, there is no difference except of an additional aperture blade for the Asperical version, which causes better bokeh stopped down and different sun stars. The current EF version isn’t any sharper. If you consider that this lens was released 45 years ago it’s performance is absolutely astonishing and it still shines today. Status: Jannik owned the lens (S.S.C. version) but sold it some time ago. Wide open it is already pretty sharp in the center. From f/2.8 it is excellent in the center. Shows some field curvature, especially at short distances. Therefore, corners can appear unsharp. Recommended for portrait work. When it comes to landscape photography, the 2/100mm and the 1.2/85 perform better. Status: Jannik owned the lens for some time but sold it. At f/2.0, the center is very sharp, the midfield and the edges reach good sharpness. For portraits and shallow depth-of-field work, this is excellent. All regions of the frame improve by stopping down to f/2.8. The center is excellent there and doesn’t improve any further. The corners are very good at f/4 and peak at f/5.6. Pleasant bokeh, vignetting is present but not really a problem. The only issue is a medium amount of CA. How much it affects your image depends a lot on your subject. Very low pincushion distortion and average flare resistance. Small but pretty heavy, much glass in a small case. Therefore, the writings are on the edge of the barrel. Status: Jannik owned the lens shortly but sold it some time ago. All regions of the frame improve by stoping down to f/2.8. The center is excellent there and doesn’t improve any further. The corners are very good at f/4 and excellent at f/5.6. It is sharp across the frame with pleasant bokeh, vignetting is present but not really a problem. The only issue is a medium amount of CA. 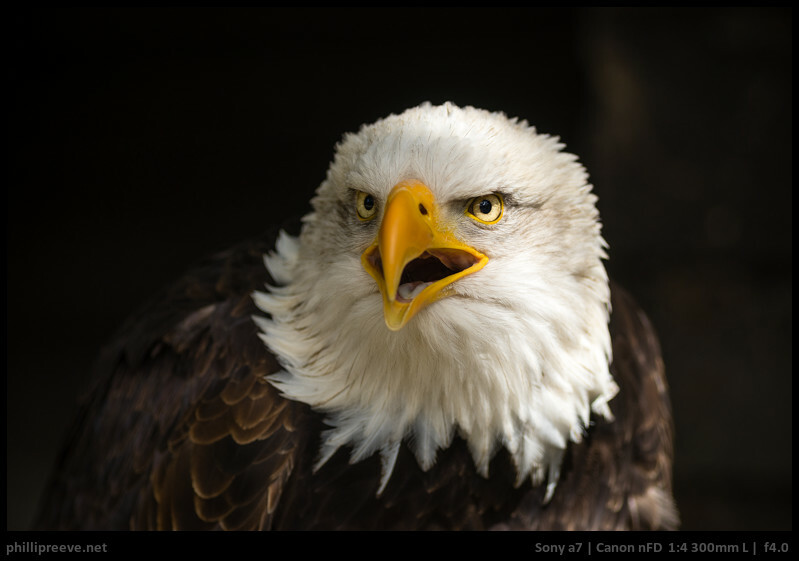 How much it affects your image depends a lot on your subject: It can be a problematic e.g. when photographing metallic objects or unproblematic e.g. for portraits. 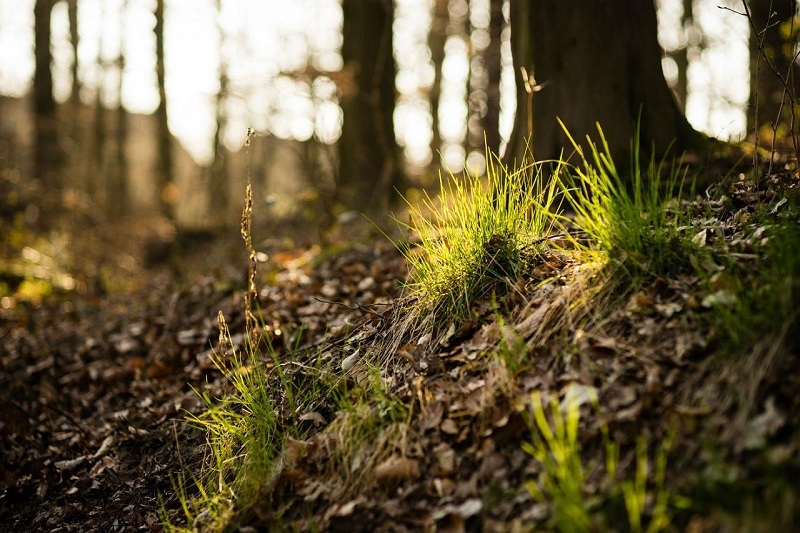 For best results when shooting landscapes, stop down to f/5.6, the improvement isn’t large but noticeable and vignetting will be all but invisible at this aperture. For portraits, don’t hesitate to shoot it wide open or at f/2.8. Large size and weight, good built quality. Status: Phillip has reviewed it but not used much since then. 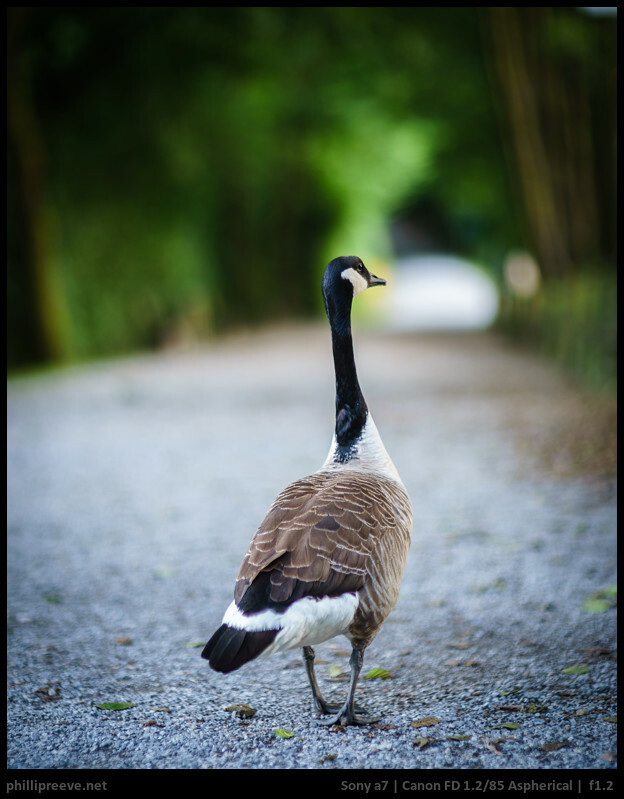 At f/2.8 it is sharp across the frame with pleasant bokeh, vignetting is present but not really a problem. The only issue is CA which is quite strong. How much it affects your image depends a lot on your subject: It can be a problematic e.g. when photographing metallic objects for portraits it is less of an issue. For best results stop down to f/5.6, the improvement isn’t large but noticeable and vignetting will be all but invisible at this aperture. Medium size and weight, average built quality. 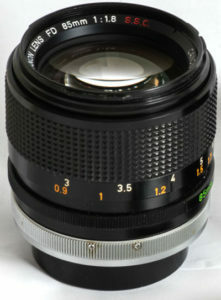 All in all a very good lens for portraits and landscape photography for a great price. There are two different versions of the nFD 2.8/200 lens, the older one focuses conventionally and has identical optics as the S.S.C. version. The newer one which is a bit smaller focuses internally and has different optics. Sharp across the frame from f/2.8 but with a tremendous amount of CA. 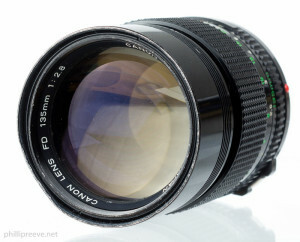 This lens is usually very affordable which could make the strong CA bearable. Very sharp across the frame from f/4 with moderate vignetting wide open. 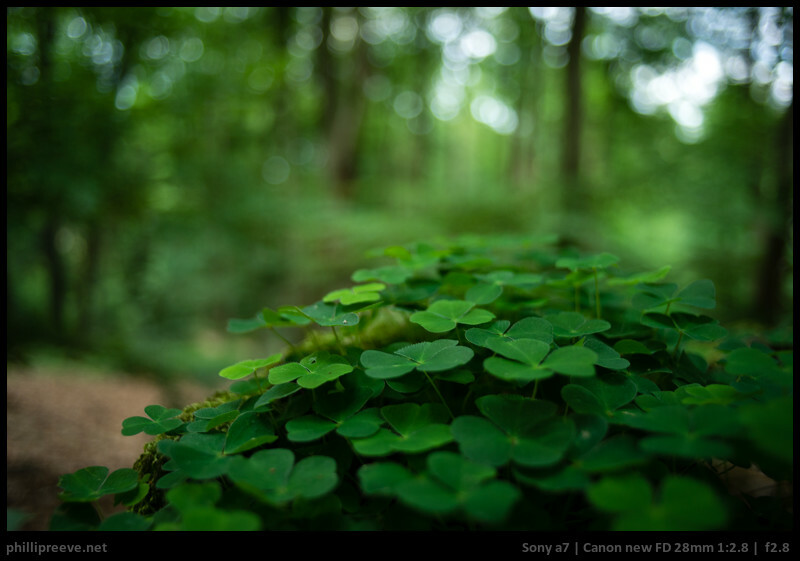 Since it is quite good from f/4 it gains only a little bit at smaller apertures. Rather small and lightweight, easy to focus thank to IF. 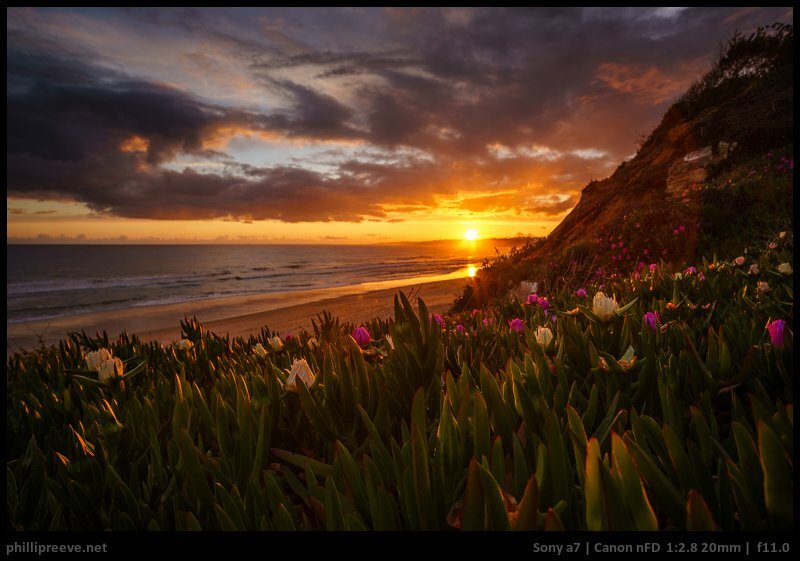 Sharp, light, affordable: There is a lot to like about this lens, CA is the only shortcoming I see. Status: Part of Phillips setup for more than two years. 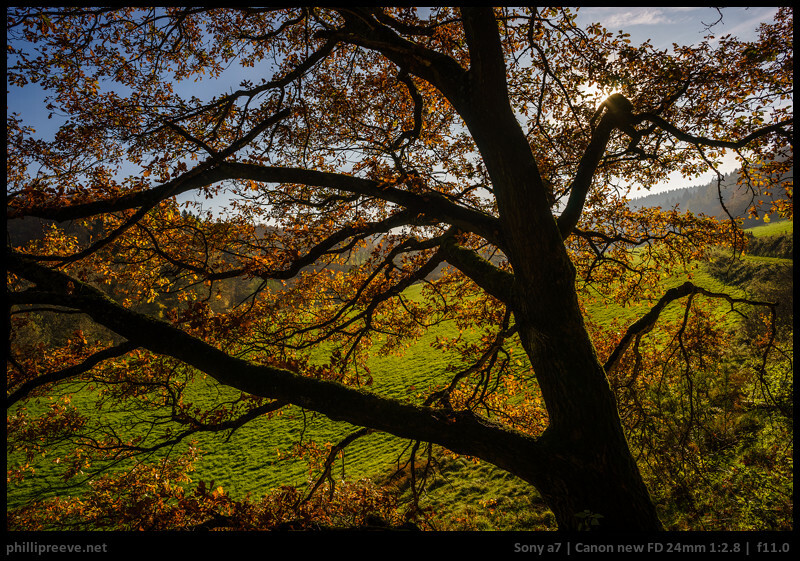 At f/4 it is fully usable with very good sharpness across the frame, moderate vignetting and only a little CA. Bokeh is very good. At about 1kg it is neither small nor light but it is still small enough to put it into an average camera bag and handling on the a7 works well enough. All in all a great lens but the price reflects that. Highly recommended. Micharl for providing test images for the 3.5/50 macro and 4/200 IF. Giovanni for providing images for the FD 4/17. Dan Noland for the nFD 2/24 samples and feedback on the list. 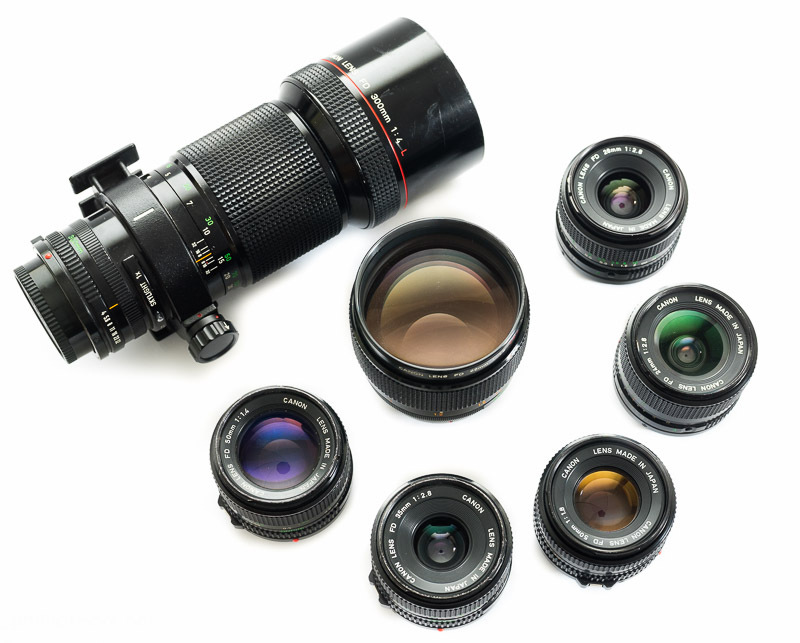 We have no personal experience with these lenses but we have read positive reports about them from reliable sources. If you have full resolution images from them we are very interested :). nFD 2.8/20-35 L – As good or better as the 2.8/20 but bigger, more expensive and a longer short focusing distance. nFD 3.5/35-105 – not small but very good performance. The FD85L continues to amaze me. The L version can usually be had for $100 to $200 less than the older Apherical SSC version. I’ve had two and paid $500 for one of them and $550 for the other. The lens is equal in the center to the EF version and better than the EF version across the frame at basically all apertures. Considering there are only three existing designs for an 85mm f/1.2 and the other two (EF & Contax) sell for an upwards of $1200 (EF) to $2400 (Contax), $500 to $650 is a steal. 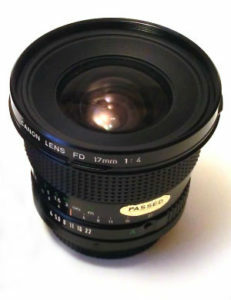 The other FD lenses I have are the 135mm f/2 and the 20-35mm f/3.5L. You’re description of the 135mm is dead on. 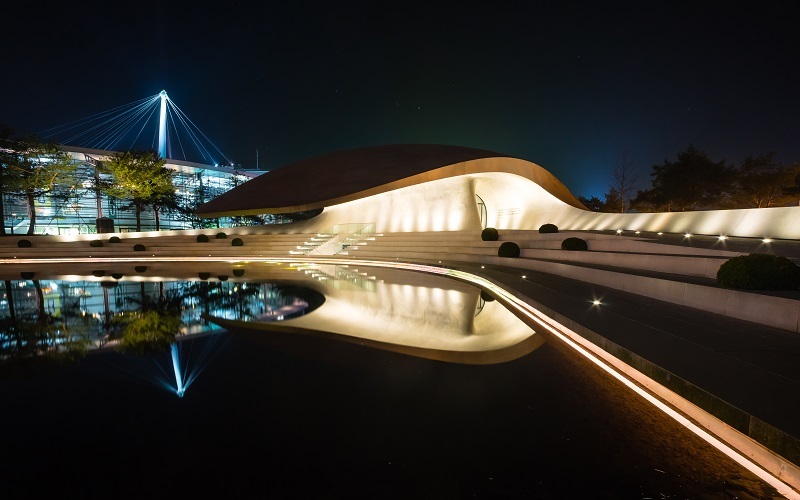 The 20-35mm is sharpest at 20mm and competitive in that regard with the 20mm f/2.8, but the mustache distortion make its almost impossible to use on anything with straight lines–the EF 17-40mm’s lens profile is the built in LR profile that works the best, but it isn’t perfect. Thanks for this fantastic article, guys! I’ve got quite a few FD lenses in my collection thanks to all of you! One of which is the honorably mentioned 35-105/3.5. It’s my go to lens for video! I really like the focal length range and the macro function at the wide end. I’d be happy to take some photos for you! I own the 50L and it is actually one of the smallest and lightest normal 1.2 lens for SLR. I am a lot more willing to carry that lens compared to Minolta 58 1.2. FDn 50L is sharper wide open than the minolta 58 1.2 but 🙂 closed down for landscape this minolta is very sharp corner to corner even on 42mp. Most of the 1.2 lenses are soft and has a lot of CA in corners even closed down. The FDn 50L is on of the sharpest , but the minolta is CA-less at F8.0-11 and very very sharp. Wide open… a matter of taste. I like the Rokkor when it is cloudy and at night at some distances, the canon is different and also nice one, and sharper with better control over CA on wider apertures. Hey, great to read an article about me beloved FD lenses. I did a writeup about the system, too. That’s a very solid list you have there. I would be interested in samples of the 1.4/24 and 4.5/400. Just shoot me a mail at reeve.phillip@gmail.com. The easiest way for me would be if you uploaded them in full resolution to flickr and I would then add them to my collections. Very good work Phillip, thanks for posting. I am wondering if you didn’t have the FD 100 2.8 at your camera. 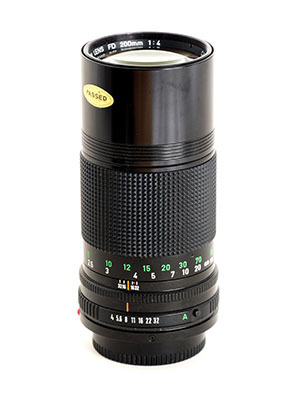 I own this lens and use it very often for portraits. From my opinion it’s already sharp at 2.8 and has a nice bokeh. Hope you will get the chance to test it in the near future. Do yourself a very big favour and buy a FD 100 f2. I used this lens in the 70s/80s on my trusty F1n (great camera) manly for sport, equestrian and motor cross where you needed to use slow ASA film to get pleasing images. This lens even at f2 is stunning, amazingly sharp. I sill use this lens on my x-pro 1, it is quite heavy compared to the 2.8, but worth its weight in gold. Thanks for the great article and extensive testing. I would be curious what you think of the nFD 1.2/50 (non-L). Haven’t used that one (yet), sorry. Looks quite good indeed, wasn’t aware of that one, thanks for pointing it out. sounds good. If I get one for cheap i will give it a try. Phillip, thanks for linking to my review of the nFD 100 f2. It’s definitely a great lens in an impressively small package. Hola Phillip Reeve, me parece muy interesante estos artículos. Quiero comentar que tengo guardados algunos buenos canon fd, incluso el 14mm 2,8 L, lo ha probado o tiene referencias? también preguntarle si comprar la sony a7 o la a7 II, básicamente para usar estos canon fd y de otras marcas. Gracias y un cordial saludo desde la Mancha, España. Hi Phillip Reeve, I find these articles very interesting. 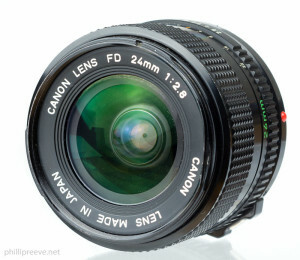 I want to comment that I have saved some good canon fd, even the 14mm 2.8 L, have you tried or have references? Also ask you if you buy the sony a7 or the a7 II, basically to use these canon fd and other brands. Thank you and a cordial greeting from La Mancha, Spain. since the FD 2.8/14 is a rather exotic lens I didn’t get the chance to try one yet. I probably wouldn’t buy a a7ii for the FDs but a a7? Yeah probably. I tried both the canon FD 24 f/2 and f/2.8. The FD 24 f/2 is quite a bit sharper in the center. However, it is softer than the f/2.8 in the corners. Is this what you see too? The olympus 24 f/2.8 has the best corner sharpness, but it cannot match FD 24 f/2’s center sharpness. I’m interested in picking up an nFD 4/80-200 L for my a7ii. I see that this lens has been in your “still to come” list for a while now. Will you guys still be reviewing this lens? I know they are quite a bit different but, if you had to choose one, would you take an nFD 4/80-200 L or the nFD 4/300 L? I have found both for very good prices. I liked the 4/80-200 L a lot because of it’s great CA correction but my copy wasn’t centered well so I found the corners a bit lacking and this seems to be a common theme with 80-200 lenses. 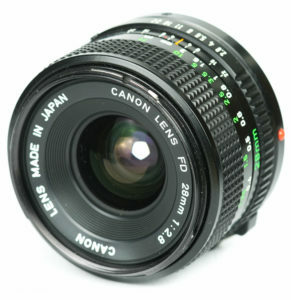 So in the end I sold it and kept the 4/300 L which is faster to focus with better corners but less flexible and heavier. I appreciate and enjoy your work! Thanks for making your articles and photos available! 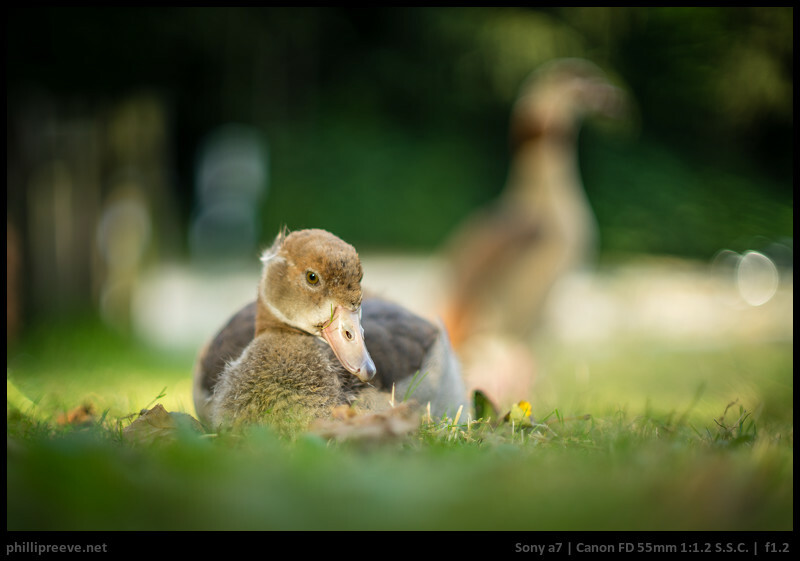 Very nice blog, i enjoy reading about old FD lenses. Great research! Thanks! 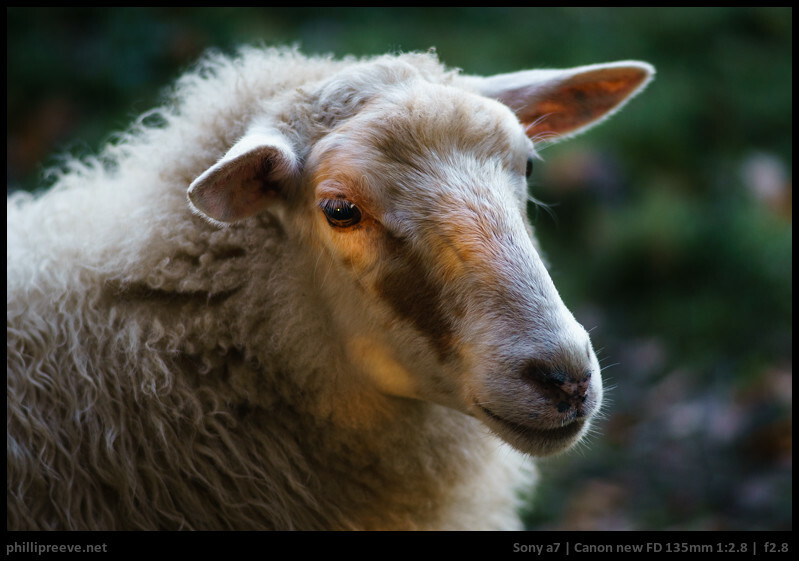 Alles unberabeitet, nur in Lightroom importiert und exportiert. Danke fürs Teilen. Da besteht zur L-Version doch ein sehr deutlicher Abstand. 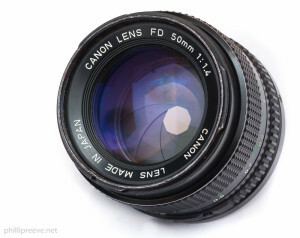 I saw the pictures you posted a few years ago on flickr taken with a7 and canon fd 80 200 f4 l. They look very good to me and I am thinking of buying this lens for my a7ii. Do you recommend this lens? Any disadvantages? 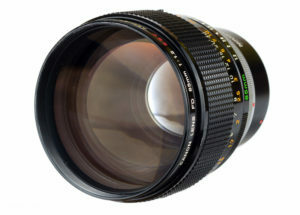 Is there a better lens than this at that price range? In the end I didn’t keep mine because it was a bit unwieldly and corners weren’t great. It worked well for poratrits and zoo visits but nowadays I carry the 4/300 L for that. Probably the lens which I am asked most often about. It is very sharp with excellent correction of axial CA/ bokeh fringing. If you can get it for a good price I would recommend it but don’t spend more than $200 on it. One alternative is the EF 4/70-200. I wouldn’t know a better legacy telezoom. Thank you Philip for the nice pictures you share and for the reviews.. I have another question…I own a a7ii and have a canon fd 300 f4 l lens. 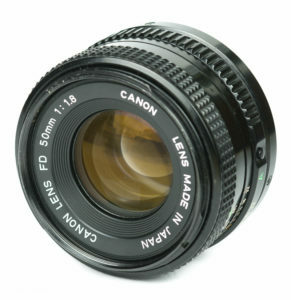 I was looking to buy a canon fd 500 f4.5 l lens ..they are around one thousand dollars online. For that price i can buy a sony rx10iii in great shape. Would the 500mm or the rx10iii be more usefull for an amateur photographer like me? I honestly don’t feel qualified to answer that question. I have experience with neither. I am sure that the FD has potentially higher IQ but only if you can stabilize and focus it well enough which will be much easier with the RX. Thank you for this amazing resource! It helped me decided to shoot my short film on Canon FD lenses. Check out my short film which I shot on the Sony A7Rii + Canon FD. The summaries for these lenses are in production” section. Are you still working on the review? When can we expect the article? Probably not too soon to come since life happened. 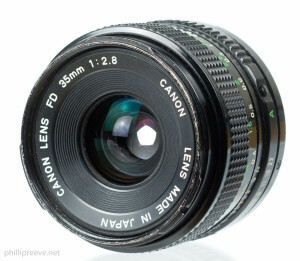 I’m come from Belgium and I hesitate to buy the Canon FD TS 35mm 2.8, would you recommend it? and why? Thank you for your reply. I used to own one for maybe a year and it worked well. In the end I sold it because I had little use for a TS, not because I didn’t like the performance. Thanks again for you website to introduce those optical gems for us. Recently bought nFD 28mm 2.8 with nFD 50mm 1.8 together for 9 dollars while traveling (his previous owner thought they were broken, but I fixed their aperture rings just follow youtube video lol). Haven’t test with the 50mm yet, but the 28mm really surprised me with the center sharpness in f 2.8 when testing on A7RIII. But one thing I have noticed is the corner sharpness didn’t really improve that much while step down (from f 5.6 to 11). Also do you have any experience with mount issue of those FD lens? Mine seems block adapters if I fasten the last three screws first. My only solution now, is to attach adapter first then fasten those screws. In my experience fitting the adapter can sometimes be a bit tricky but I have never fastened or unfastened a screw because of that. Any experiences with this lense? excellent site and a wonderfully helpful resource; thank you. Because I never owned one. So you didn’t compare it to other adapters? At the moment I don’t have enough time to curate reviews. wishing you a successful and happy new year. Thanks to you and the team for this wonderful pool of information. I purchased the Novoflex Canon FD > Sony E through your link to mount my old lenses to my new Sony A7ii. I do have an issue and I wonder if you could maybe point me into a direction of solving it. While the 50mm FD lense is fine and the aperture changes are visible in the depth of field, my nFD 3.5/35-105 unfortunately does not seem to react to the aperture changes. All shots remain with blurry background, thus open aperture I guess, even with slow >f16. I tested the lense on my old AE-1 and peeked through using the depth of field preview slider and here I do see the change in the depth of field when changing the aperture. The issue is solved. I have not used the zoom for quite a while, so it seems that a pin for manual aperture adjustment on the lense was the problem and had to be moved back and forth a bit. Great work. I have been reading for days. I have a question, should I increase the sharpness or other settings in my a7 to get the most out of my fd 50 1.8? I would recommend to shoot raw and adjust by eye afterwards.